A bit of experimentation, and a lot of artistic licence! I’m feeling a bit challenged by the enormity of the exhibition coming up. In fact, I’m in a constant state of self-doubt and worry. There are so many amazing artists out there that I just wonder why? What do I add to the world? What is the reason for struggling so much? I don’t think I will ever be able to answer this, but all I know is that every struggle is a conversation with my own self: my ego and my creative ‘higher’ self. I don’t know anywhere else I can access that, other than through painting? I’ve always longed to bring some spirit into my work (see earlier blog posts). But what is spirit if not a direct connection to creation? Landscape 22 February 2017. Oil and mixed media on canvas. 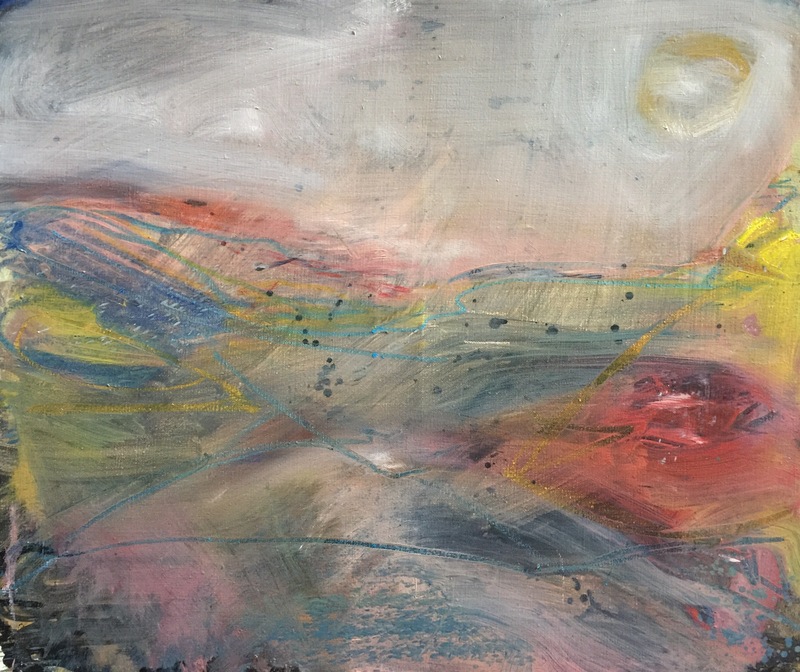 Absolutally love this painting Jon ,the spirit and direct connection to creation is there in your paintings, can see ,feel long to go there ,great work you are doing.